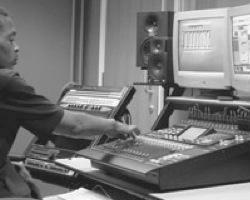 We provide innovative training courses for Musicians, Vocalists, MCs, DJs and Producers. All students, from beginner to advanced level, are given access to professional tuition and industry-standard equipment to compose, perform, and record quality urban music. First we explore what types of music you listen to and then using latest technology develop appropriate music production and performance techniques. Record ideas turning them into songs utilising our industry standard computer software and professional microphones to a commercial mainstream standard.